I can’t wait to see the LEGO Batman Movie this weekend! 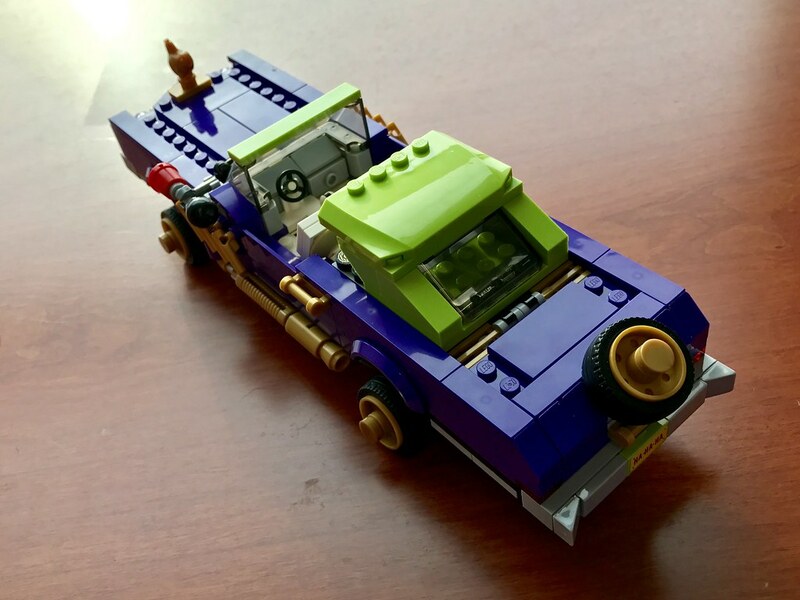 In anticipation of what I am sure is to be another awesome movie, today I will review 70906 The Joker Notorious Lowrider! 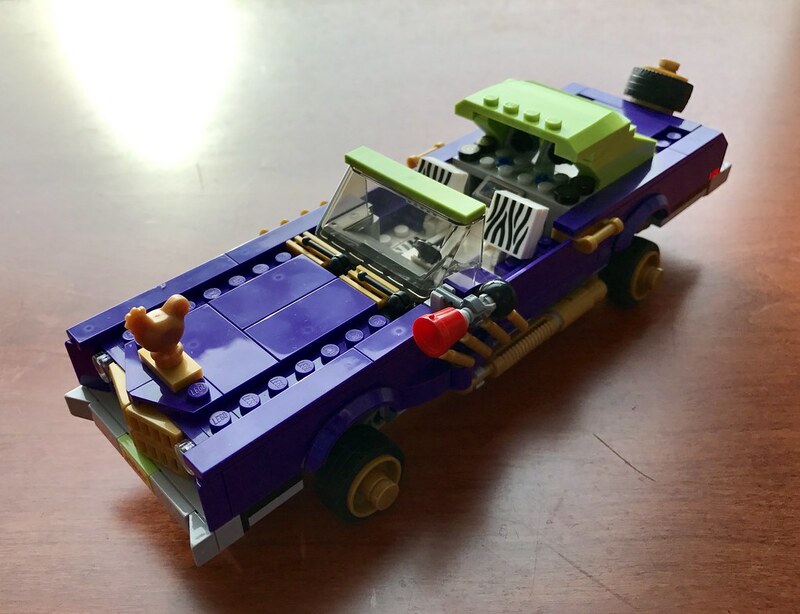 One of the reasons I picked up 70906 The Joker Notorious Lowrider is it was on sale for 30% on Amazon! 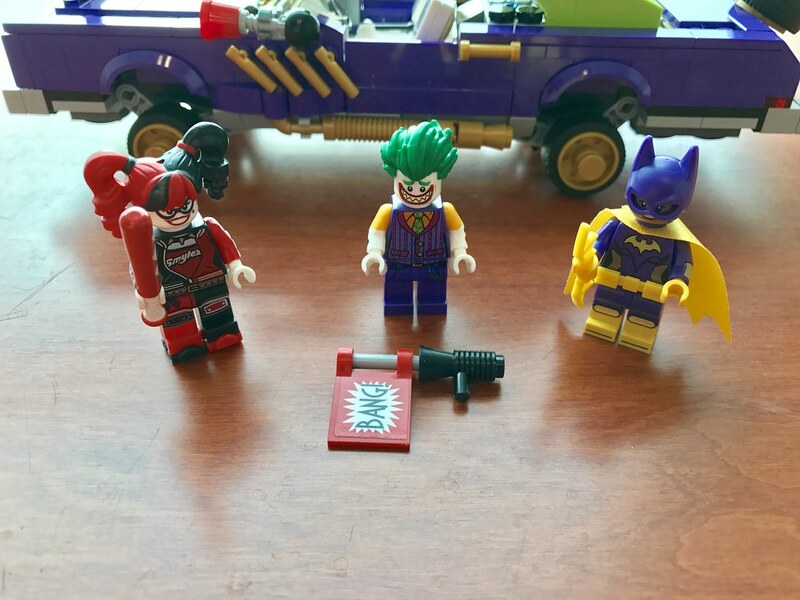 The other reason was the sweet minifigures in this set. 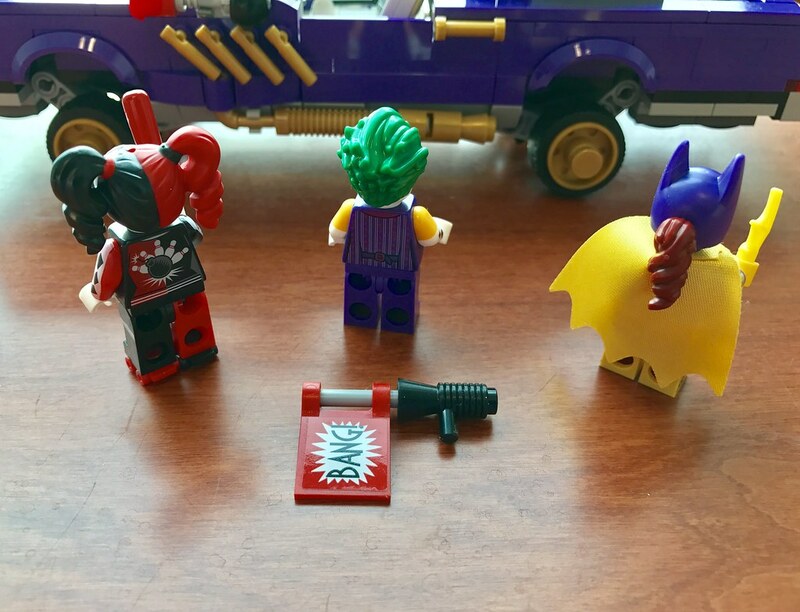 We get the Joker, Harley Quinn, and Batgirl. These may be some of the coolest minigures I have in my collection. in fact, they are so cool, my daughter keep trying to swipe my Harley Quinn! These guys are seriously detailed. The torsos are printed front and back. The legs have printing, and even the arms! I also love Batgirl’s shiny cape. This seems like new cape material to me. 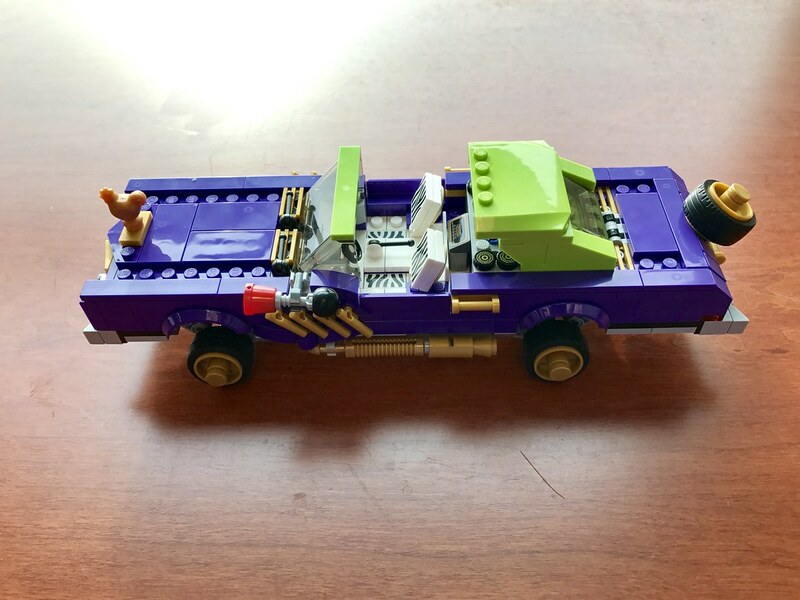 I love the suspension on the Joker’s Lowrider! It actually let’s the car sit like a lowrider, and the construction technique is brilliant. 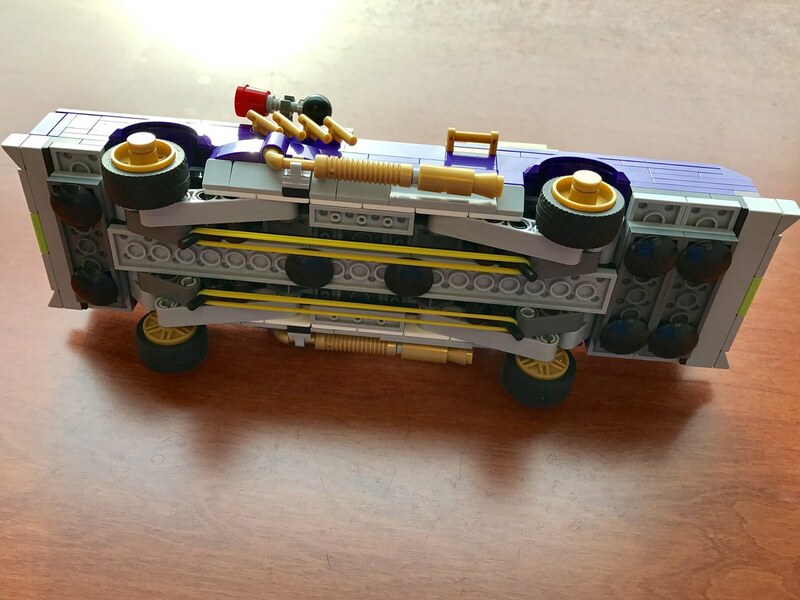 With the rubber bands, you can push down on one side of the car, or the front or back, and that car of the car will stay down, giving it the lowrider effect. Awesome! While this set might not be a great value, I do recommend it. 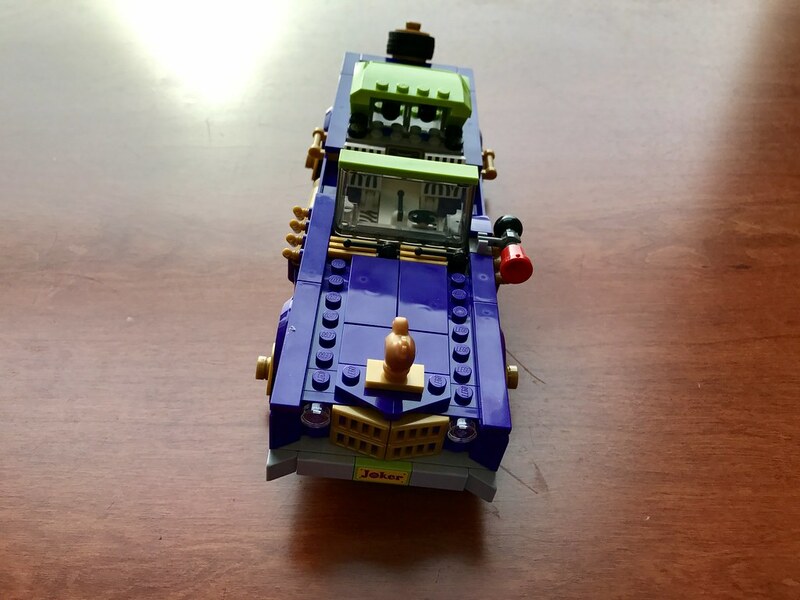 There are just too many cool things in this set to pass up on, and I’m sure anything related to the LEGO Batman Movie is going to be a huge success. Are you planning to see the LEGO Batman Movie? What are you most looking forward to?